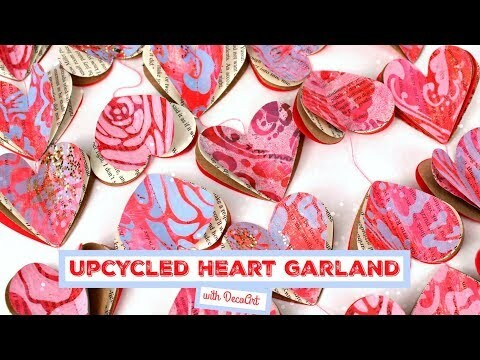 Upcycle newspapers and magazines with DecoArt Americana Acrylic paints. 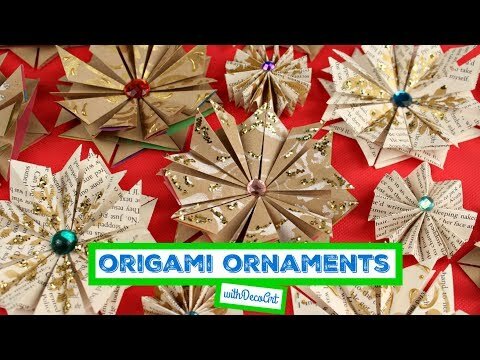 Paint origami stars to make decorations for your Christmas tree. Watch this easy technique for stone painting. Paint inspirational stones with Americana Acrylic Paints. Watercolour effects with acrylic paints. How to transfer designs onto candles. How to use stencils and fabric paints to design your own T-shirts. Colour candles easily with Inka Gold & candle wax pens. How to transfer a photo with the Photo Transfer Medium by Viva Decor. Watch this demonstration by Pronty to learn how to brush stencil on different media. How to decorate and transform items with napkin decoupage. Learn how to transform everyday objects with paint into items and statues that look like they're modelled or made from weathered stone. Linda demonstrates how easy it is to use Viva Decor Chalky and Rusty paints to alter and create a loft style lampshade. How to upcycle and decorate glass bottles with Viva Decor Matt Glass Paint. How to paint items in the shabby chic style. Learn how to paint a vintage flowers canvas with DecoArt Americana Acrylic Paints & Writers. Learn how to make custom personalised T-shirts, cushions and more with stencils, masks and spray paint for textiles. Learn how to make items from around the home look they are made from concrete with Viva Decor Concrete Effect Paint. Watch Viva's craft demo to see how easy it is to create a beautiful metallic sheen on porous surfaces with Inka Gold. Simply rub on and buff with a soft cloth.